Summer is all about soaking up the sun outdoors while creating fun memories with family and friends. This year makes a get together extra special by choosing a party theme and running with it. Garden party is a colorful, fun creative theme that all ages can enjoy. It can be used for a baby shower with the invitation saying: Welcome BEE-utiful baby (using more bees than butterflies in the decorations). It’s perfect for a bridal shower, mother’s day, lady’s birthday or even tweaked a bit to focus more on vegetables and grilling for men. A whimsical garden party (using gummy worms and crushed oreos for dirt) can be fun and creative for a children’s birthday party or graduation. Using crystal stemware and china, this can be transformed to a dressier ladies’ luncheon. It does not matter if the gathering is formal or informal. There are plenty of adorable ready-made invitations that pair with a garden theme. To begin decorating for this garden party, think large. It is better to have fewer larger decorations that make a dramatic statement for guests than lots of little things that seem cluttered and jumbled. The main centerpiece can be a colorful, blooming pot plant. Inexpensive flowering plants are a great way to stretch your decorating budget and can be enjoyed long after the party has ended. 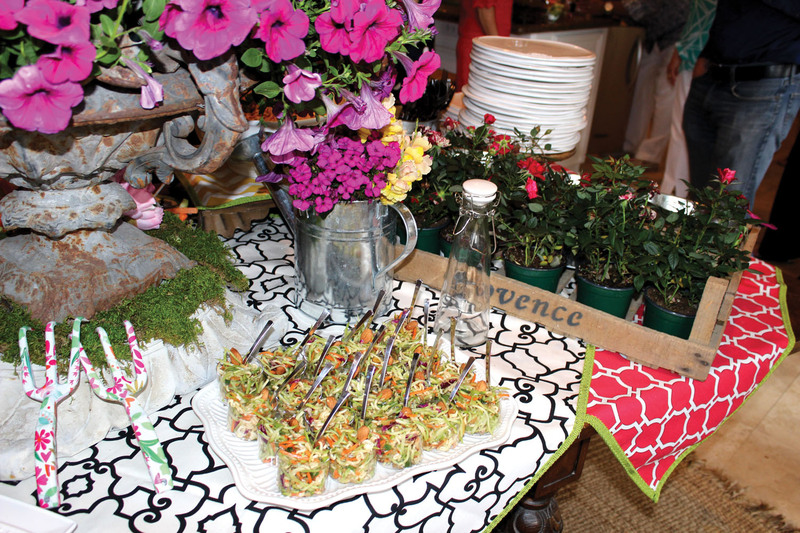 Painted clay pots or watering cans in bright colors with multicolored blooming flowers can be scattered on the tables and throughout the party space. These potted flowers or herbs also make great party favors. Serving utensils can be actual potting tools. Salad can be served with potting rakes and a trowel can be utilized as a large pie server or spoon. 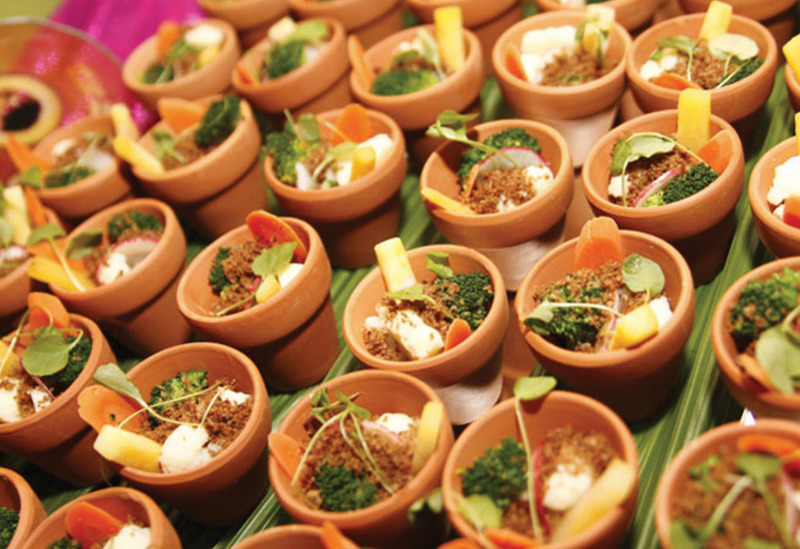 Clay pots in various sizes lined with wax paper are great for serving food or sorting the forks, knives and spoons. A wheel barrel makes a great drink server. Just add ice and waters or sodas and roll outside to make another drink station. Simple white cafe lights strung in the trees work to create either a casual or dressy setting. Sheet moss is sold at craft stores in flat rolls and can be cut into shapes and used for table runners, placemats, trivets for hot food or to keep the drink tub sweat contained. 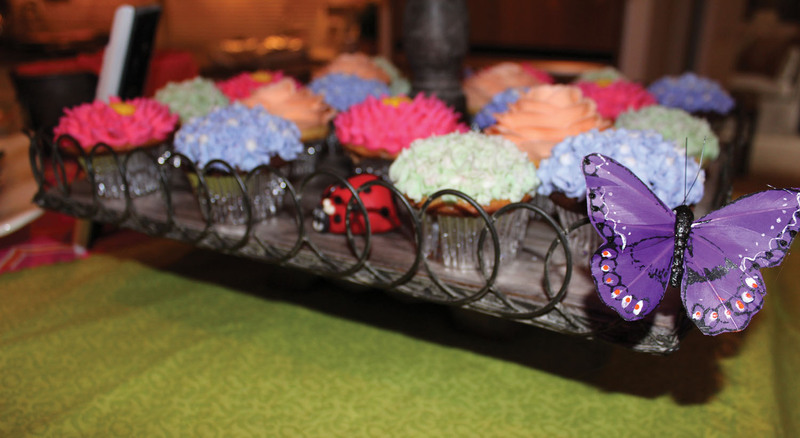 Cupcakes, cookies or cake balls can be created to resemble flowers, bees or bugs. Craft stores also sell packages of realistic looking butterflies and bees. Using removable glue dots, those insects can be placed all around the party area, on cabinets or chairs or on serving dishes. Lay brown craft paper across a table with chalk for a casual look, giving guests a creative outlet for writing and drawing that cleans up fast and easy. Sheet moss can be hot glued to a flat large piece of plywood or thick foam core and flowers added to create a photo backdrop for guests to take memorable pictures. All the photo props can be garden related — watering can, frame covered in flowers, gardening hat or large bugs or butterflies. In a cute basket, be sure to put sunscreen and insect spray for guests if insects or sun is a party issue. Be creative and have fun decorating. 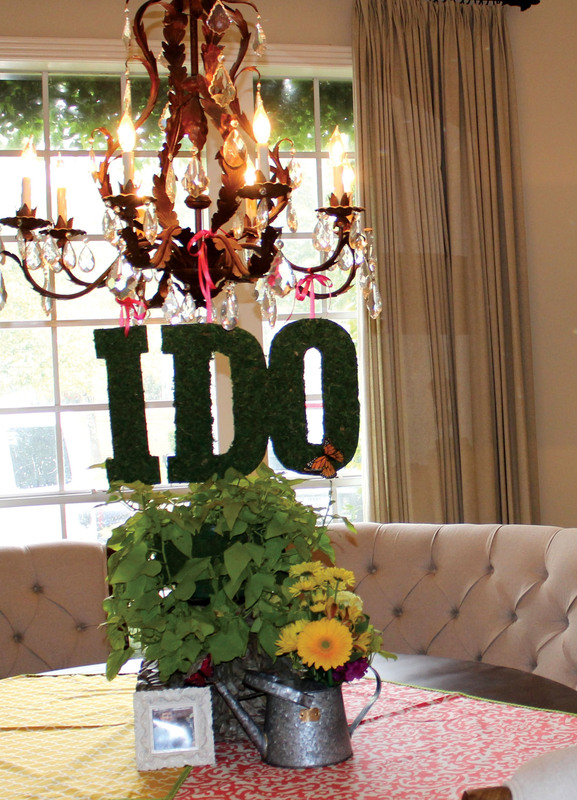 Guests will appreciate all the extra effort that was taken to make the party so special.